Tooth-colored fillings are also known as composite resins. Ideal for small to medium-sized fractures, they are known for being able to provide durability and resistance when it comes to moderate pressures from chewing. This type of filling is ideal for those who want to have natural-looking fillings as they can be used for the front and back teeth. Composite resins are more expensive and they are typically not covered by insurance plans. 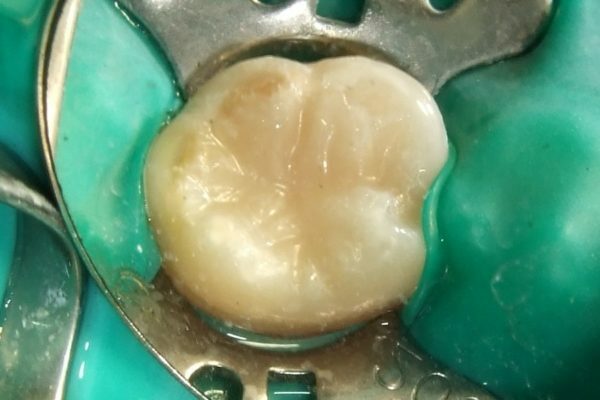 It should also be noted that composites do not last forever and that they need to be replaced more often than amalgam fillings because they are not as tough as the other types of fillings. Placing a composite filling can also take longer than placing a metal filling. This is simply because composite fillings have to be placed on a properly cleaned and dry tooth surface. Composite fillings however, are more frequently used than metal or gold fillings simply because they look better and they can easily blend with the color of your teeth. People nowadays want to have naturally-beautiful smiles and composites are used today to help deal with cavities without altering your teeth’s appearance.